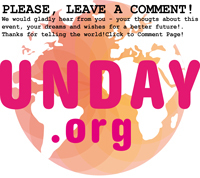 Manifest the United Nations Day, October 24 2015 at UNday.org! Join us in Celebrating United Nations Day, October 24 2015! Swedish pupils collaborates with danish pupils. 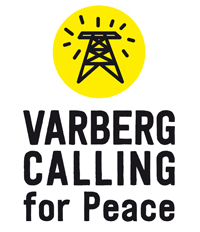 Www.unday.org 2015 is a collaboration between Sweden and Denmark and takes place right in the middle of/and is part of The International Peace Conference in Varberg. The morse peace message was put together by a grade 8 class from Påskberskolan in Varberg, Sweden. The process started with talks from people who has experienced refugees situations first hand throughout the world, and an introduction to old and new digital technology by experts in the field. stories based on the theme Conflicts. The stories became filmscripts and were exchanged between the countries. The pupils then made their interpretations of the scipts into short films. The result is the second part of the manifestation together with a peace song made by the school choir at Påskbergskolan. Welcome to our peace manifestation, made by children who want to send their visions of the future to the world! Since 2011 the regional theatre Teater Halland and the World Heritage Grimeton Radio Station has manifested UN day with a global live event broadcasted over the Internet with school children as main actors. They create the contenct and make different forms of peace manifestations. use communication and both have a pedagogical mission in society.